Australia Street Infants School is a unique inner city infants school established in 1889. The school provides critical family services within a focused integrated continuum of early learning through Lennox House community centre (0-5 years), Preschool program (3-5 years) and K-2 Infants School (4-8years). We aim to provide a safe, happy and stimulating learning environment which fosters co-operation and teamwork throughout our learning community. 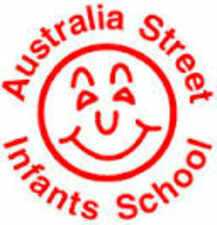 The school is unique in that it is the only school that provides educational and social programs for students exclusively over the 0 – 8 years range, and over the course of its history has received much attention for innovative practice within early childhood education through; the Australia Street Project in the 1980s and more recently its pioneering work in educational technologies within early childhood education. We are committed in providing your child with an exciting, challenging and innovative start to school limited only by your child's interests and our imagination. We strive to constantly develop innovative programs that aim to meet the expectations of your child making coming to school for your child an exciting event each day.